If you recall the topic of Leading Yourself (Chapter 11), we touch on some key points around needing margin in your life, having a governor or dashboard to help you stay at a healthy level of activity, the Red X, how to say no (or at least not say yes immediately), and looking back on your life. We spend just a little time during that day exploring what drives leaders to live somewhere between point A and C with little to no margin. For me, most, if not all, of the pressure I felt to habitually overextend myself, and what lead me to my own Red-X, came from false or wrong beliefs. That is, ideas and constructs that I knew to be true but couldn’t prove, and those shaped how I behaved and led in order to achieve. The problem was, those beliefs weren’t fully accurate or true. If you recall, beliefs are one of the five main roots in the DoKnowBe Tree framework and they are the main driver of our behavior. The world is brutal so watch out for yourself. I’m not wanted, needed, or valued. It’s all on me to make things happen if I want to amount to anything in this world. These beliefs drove me to work many long hours—six, sometimes seven days a week. I was driving myself and my team hard because I wanted to show the value I had; I wanted to be needed and affirmed; I was on my own and it was up to me to make things happen. The pressures of a growing financial firm with these misplaced beliefs led me to go beyond the point of sanity, driving me into a survival mode of drink and drugs, and then finally a crash with my own Red-X moment. It’s been almost thirty years since that Red-X day, and there have been seasons and lessons along the way to ensure I don’t ever go back. Yes, work and life demands meant I’ve had seasons of being at A and at C, but they were just that: seasons. I placed barriers along the way to ensure I stayed on course and went back to living between between points B and A, and I leaned into those conversations with peers and managers to ensure that we didn’t go overboard. Those times of being at point B allowed me to enter points A and C with greater thought, ideas, stamina, and energy, which meant I brought greater value and better outcomes in the long run. But back to my beliefs. What messed-up thinking drove my behavior? Our second chapter of LEAD 365 talks about dysfunction. There are areas in our roots—and across the entire DoKnowBe Tree—that are not heathy, and in some cases extremely messed up (like mine). 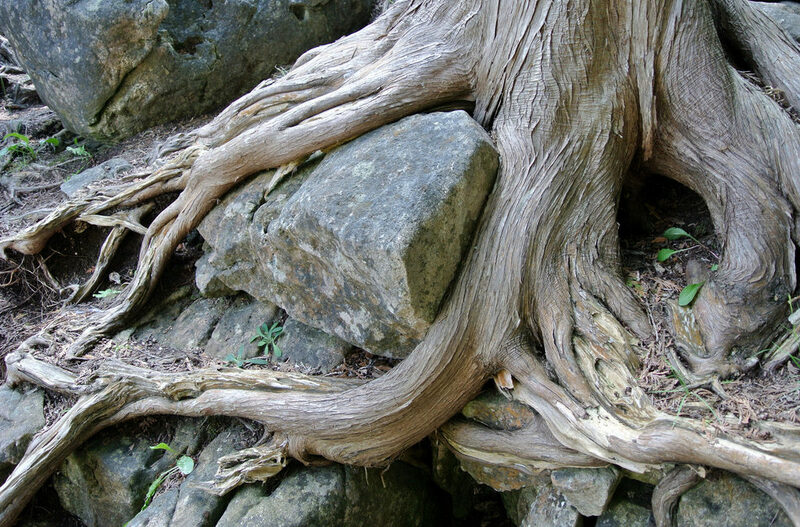 False beliefs and other dysfunctions in our root system (our Be) show up in our Know and Do. So, what drives your behavior? How is your work ethic shaped by your beliefs and values? They can be good and right. They can be somewhat misplaced and out of line. Some can be really damaging. I hope that you discover even more what is in your root system in order to lead better out of your Know and Do. Image by RichardBH. Used under CC by 2.0 license.